On February 6, 2017, Snap CI announced that its last day will be August 1. As you flock to find a replacement, it's helpful to see a comparison of different platforms. This is really sad news for the DevOps industry. 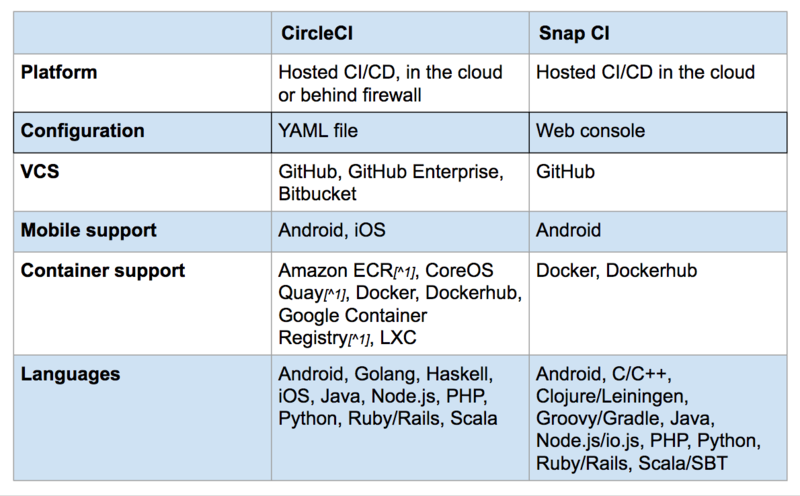 Snap CI is going away, and we can see the whole DevOps industry trying to rethink their processes. My Twitter feed was all filled with #SnapCI posts. 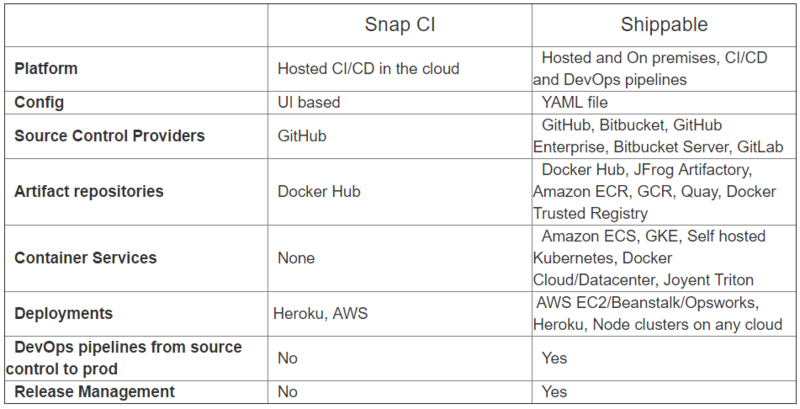 Snap CI is backed up by ThoughtWorks, who are the leaders in technology consultation. According to them, they failed to create an impact on their target market through Snap CI. They'll be continuing their focus with consultation and another Continuous Delivery product, Go CD. Now, Snap CI users have to make a big decision of switching to other platforms and tools. How's that going to be? Codeship, Circle CI, and Shippable have their own benefits and advantages. Ultimately, it is the customer who is going to gauge and rate you.